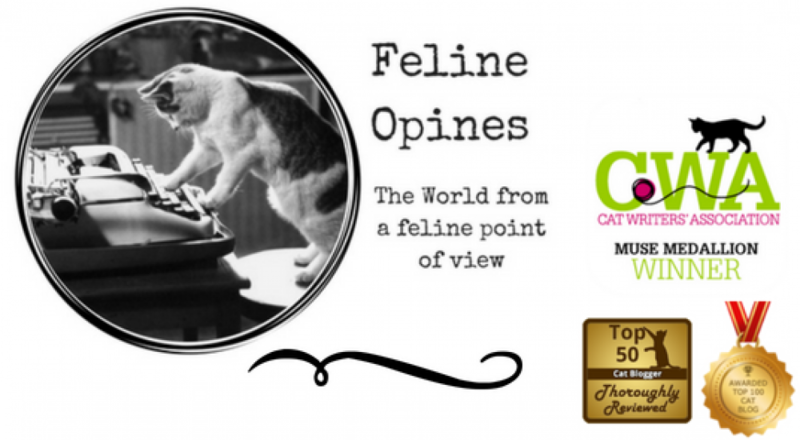 This entry was posted in cat behavior, Cat food, Cat Health, Cat Humor, Cat writers, Cat Writers Muse Award winning blog, Pet blogging, shelter cats and tagged cats hiding, Feline Opines, felineopines, Oliver by Feline Opines. Bookmark the permalink. Those were great Oliver! Bring out the super bowl and let’s eat! I love them all. You’re brilliant, Oliver. Oliver, you’ve got it made in the shade! Excellent answers! Next time i need a detective, i will call you. Why thank you, have stealth, will travel. Those are great answers, Oliver. Thank you for joining in on the Friendly Fill-Ins, Oliver! We will never tire of your non-traditional cat poses. And your stealth is second to none. We’ll be calling you up if we ever need any sleuthing done. Purrs! Why thank you, I fancy myself quite adept at under cover work. Oliver, you are way too handsome to be under cover (or rug!). Why thank you, I showed your comment to The Female Human because she’s always commenting on my manly physique! Oliver you are so gorgeous! I was laughing out loud at the fill ins.